John G. Robinson and Associates credit and (c)1939 burned into negative, lower left. 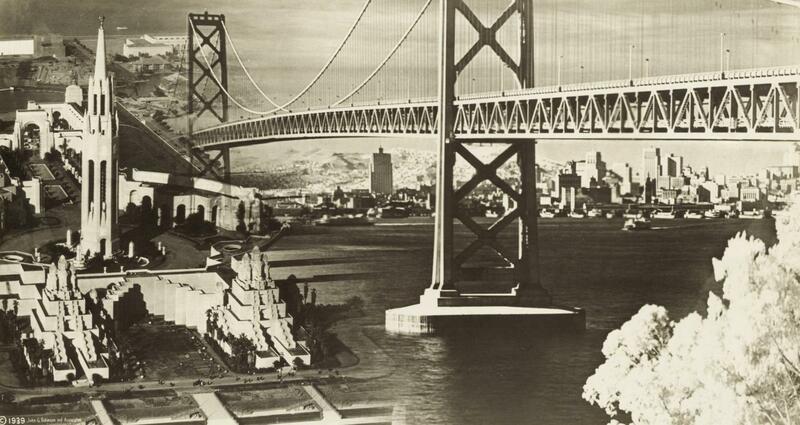 The image is a photo montage of the 1939 Golden Gate International Exposition on Treasure Island in San Francisco Bay, with the San Francisco-Oakland Bay Bridge and the City skyline beyond. Items Similar To "San Francisco Bay Bridge and GGIE montage"